(Kevin Adams), the middle-aged owner of an Irish pub, is a bitter, ill-tempered man who has managed to drive away all but his most committed customers. While some longtime acquaintances testify that he was once a carefree young man who dreamed of travel and loved a local girl, David, like his father before him, ended up devoting his life to the business to the detriment of any personal life. Christmas Eve finds David in full Scrooge-like mode – turning down an invitation for dinner with the family of his younger brother Michael (Mike Kozemchak), ordering his kindly Polish bartender Bartek (Josh Sticklin) to work all day on Christmas instead of spending it with his wife and young daughter, and being rude to former employee Simon (Jon Towson) and his fiancée Anna (Susan Marie Rhea). He has little forgiveness in his heart for former friend Richard (Mick Tinder) who wound up with David’s neglected girlfriend decades earlier. 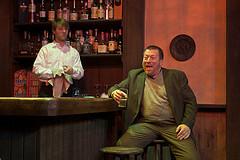 … the work feels as authentic as Mark A. Rhea’s utterly convincing Irish pub set. The story of David’s sad life has a powerful emotional impact, especially as we learn more about the sources of that sadness. 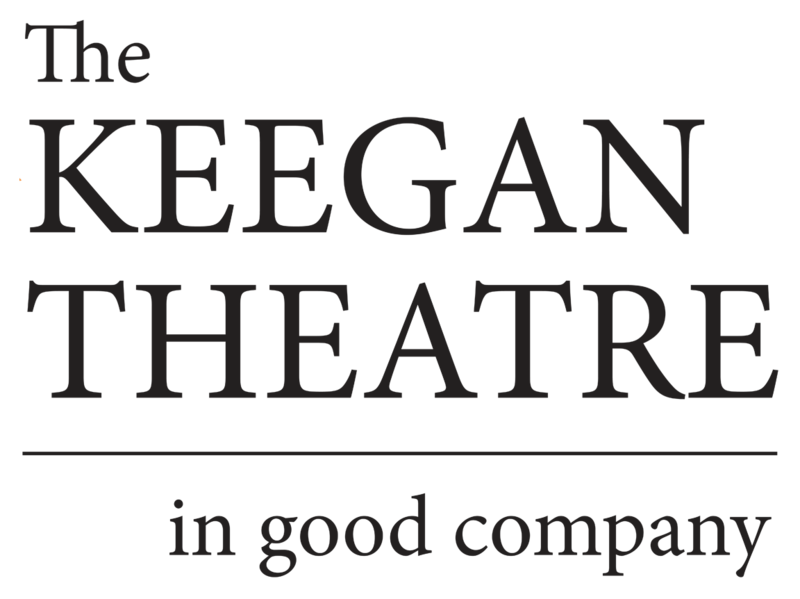 The primary entertainment value of the play comes from Keenan’s gift for dialogue. The two regular barflies at David’s pub, Jim (David Jourdan) and Frank (Timothy Hayes Lynch), provide exposition and laughs in a seamless manner thanks to two very talented characterizations. Bartender Bartek’s less than sure grasp of the English language is quite amusing. Other characters provide unexpected humor with perfect timing under the sure-handed direction of Mark A. Rhea. 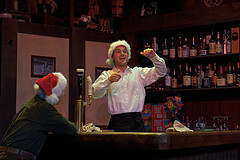 A bittersweet tale like Keegan’s An Irish Carol may offer some audience members a welcome balance to all the holiday sweetness and good cheer.